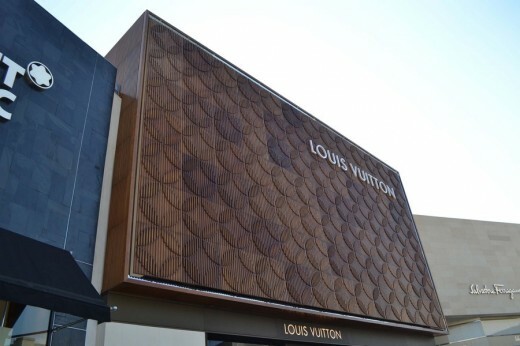 Louis Vuitton designers have selected Accoya®, the world-leading modified wood, manufactured by Accsys Technologies, for the brand’s second store in Latin America. The prestigious clothing and accessories store, located in Santiago, Chile, was designed by Louis Vuitton architect, Jose-Carlos Valdivia de Los Ríos and Gustavo Carmona, a Mexican architect who lead the Materia-Arquitectónica study. Accoya has been selected for the façade of the building and has been designed to recreate Louis Vuitton’s famous quatrefoil branding which adorns many of the company’s luxury products. 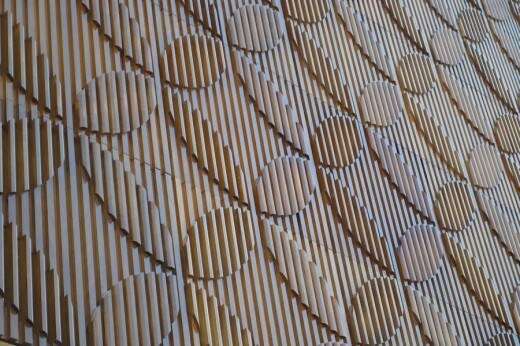 Recreating this design in wood would be a challenge for most products. However Accoya’s unique modification process made this challenging remit achievable. The façade also had to meet the high standard of quality associated with the brand and be delivered to the highest levels of aesthetic finish. The geographical location of the store also posed further obstacles for the team, with Santiago prone to humid conditions within the summer months. Accoya’s modification process allows the product to deliver outstanding levels of performance including stability, sustainability and durability. Its superior qualities allow Accoya to outperform other wood species, making it ideal for external use. The modification process also provides Accoya with an insect barrier protecting against attack from termites and leaves the wood UV resistant. Bryan Crennell, director of sales and marketing at Accsys Technologies said, “At Accsys we pride ourselves on providing our customers with a superior wood product which will meet a variety of needs. 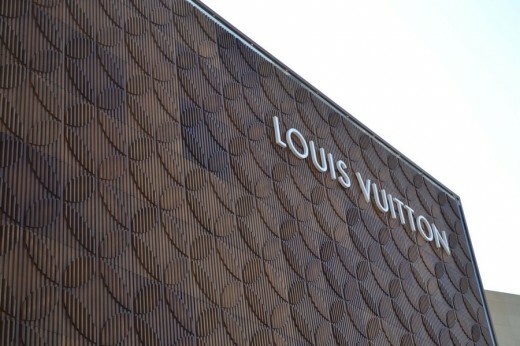 We are delighted that the quality, finish and attributes of Accoya are regarded as an ideal match for such a well-respected luxury brand like Louis Vuitton.